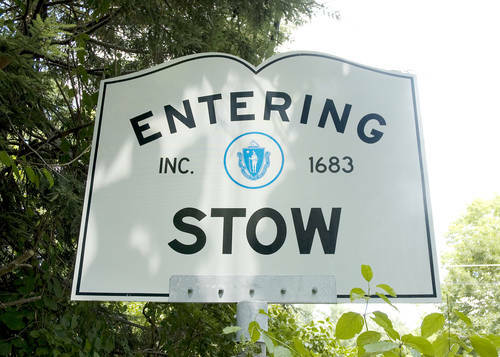 Situated between Massachussets' two largest cities (Boston and Worcester), Stow boasts a scenic, small-town feel. With a population of around 6,500 people, this small New England town is primarily known for a few things: golf courses, apple orchards, and Lake Boon. Boasting four golf courses total, the town is home to the celebrated Stow Acres Country Club, which has played host to the US Amateur Public Links Championship. Stow also boasts five well-known apple orchards – Shelburne Farm, One Stack Farm, Derby Orchard, Honey Pot Hill Orchard and Carver Hill Orchard. A New England tradition, people travel from all over the state to go apple-picking in the area every fall. Not all apples and golf balls, Stow has a whole slew of activities to partake in. Locations like Lake Boon offers boating, fishing, swimming and more, while the town also presents many trails for hiking and biking, as well as a public library, a local beach, and various opportunities for hunting. Children in the town attend Stow Schools, which includes one elementary school, one middle school, and one high school. Nashoba Regional High School, the area's public high school, is located in nearby Bolton and is attended by students from Stow, Bolton, and Lancaster. Rated a 9 out of 10 on GreatSchools, Nashoba was named in the top 1 percent of public high schools by Newsweek in 2007, 2008 and 2009. Additionally, Minuteman Tech High School, offering vocational and technical training, the Massachusetts Firefighting Academy, and a number of private K-12 schools, including the Imago School and The Victor School, serve the area. One of the more affordable communities in the area, the median home price in Stow is around $491,000. Smaller properties can run as low as $180,000 to $220,000, while more expansive properties tend to cost between $400,000 and $750,000.